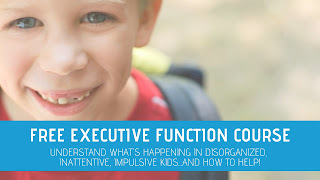 Reading a paragraph without losing their place, copying a list of homework from the chalkboard, misalignment of vertical and horizontal numbers in math problems, confusion in interpreting written direction, mixing up left/right, persistent letter reversals...Does any of this sound familiar? Vision and visual tracking are tasks that happen without us even realizing. The brain and it's jobs is an amazing thing and our eyes are moving, tracking, scanning, focusing, pursuing, and accommodating without us even realizing. There are many ways to work on visual perception in playful and creative ways. Today, I'm sharing an easy visual tracking activity that will help kids with many functional difficulties. This post is part of our new series where we are sharing 31 days of Occupational Therapy using mostly free or inexpensive materials. Visual tracking is typically defined as the ability to efficiently move the eyes from left to right (or right to left, up and down, and circular motions) OR focusing on an object as it moves across a person’s visual field. This skill is important for almost all daily activities, including reading, writing, cutting with scissors, drawing, and playing. According to typical development of visual processing, the ability to visually track objects emerges in children around the age of five. Losing place when reading. Re-reads or skips words or lines. Omits, substitutes, repeats, or confuses similar words when reading. Must use finger to keep place when reading. Difficulty comprehending or remembering what is read. Confusion with interpreting or following written directions. 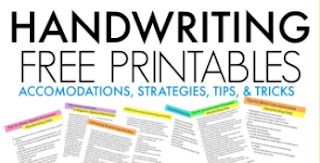 Writing on a slat, up or down hill, spacing letters and words irregularly. Persistent reversals of letters (b, d, p, q) when naming letters. Errors when copying from a chalkboard or book to paper. Misalignment of horizontal and vertical series' of numbers in math problems. Also related to visual tracking and very similar while being involved in many of these problem areas, is visual scanning. We will be sharing a visual scanning post in this series, soon. Be sure to follow and stop back to the 31 days of Occupational Therapy series. It is important to note that not all of these difficulties indicate a true visual tracking and or visual scanning problem. For example, many children demonstrate poor reading comprehension and may show a short attention span while not having visual scanning problems. 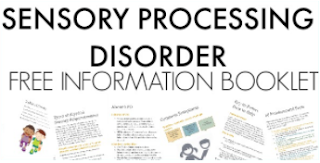 All children should be evaluated by a pediatric physician, behavioral optometrist, and occupational therapist to determine true visual processing and visual tracking or visual scanning deficits. These recommendations are meant to be a resource. 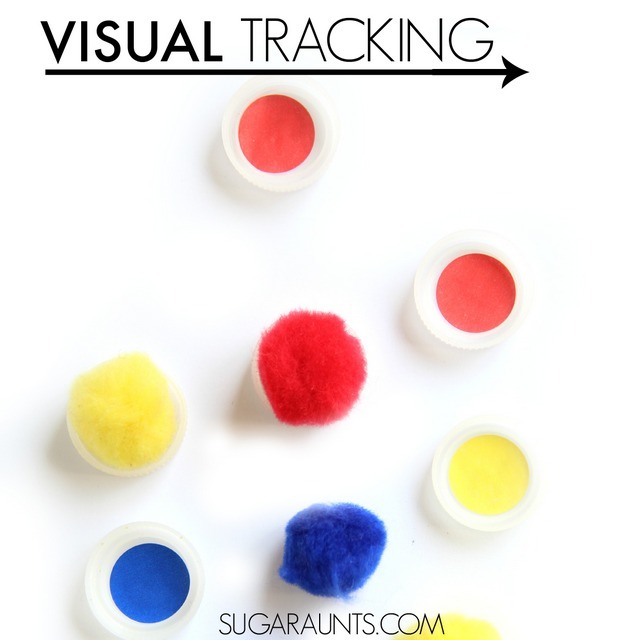 This Visual tracking activity is easy to set up. Gather recycled bottle caps. I used round dot labels from our office supplies to color the inside of each cap. You could also use a marker or paint to color the bottle caps. Use what you've got on hand to make this treatment activity free or almost free! Next, gather matching crafting pom poms . These can be found at the dollar store for and inexpensive treatment item. Visual Fixation Activity: (Maintaining vision on an item in the visual field) Work one eye at a time. 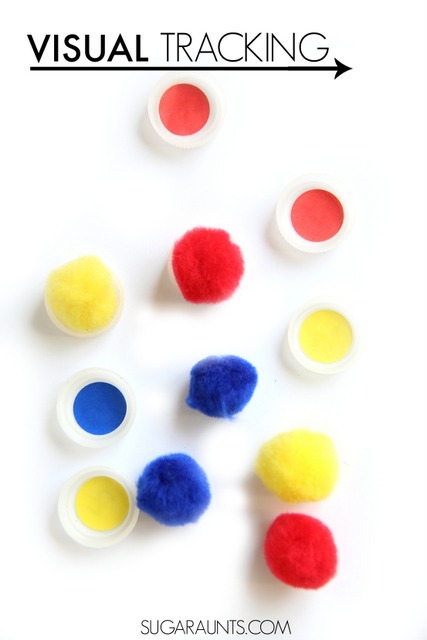 Have your child close one eye and place a colored crafting pom pom onto a matching bottle cap. They need to use one hand to place the pom pom into the corresponding bottle cap and not move bottle caps around on the table. After the child has filled all of the bottle caps using one eye, repeat the task with the other eye. Then complete the activity using both eyes. 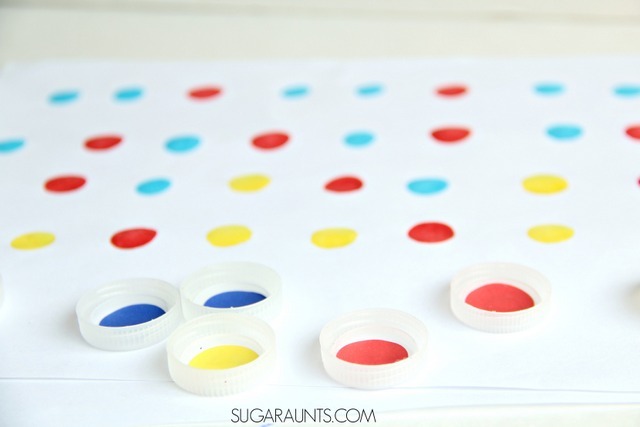 You can also do this activity by placing the label dots on a paper. Match the bottle caps onto the dots. Hold up one bottle cap on your nose. Ask your child to sit about 18 inches from you and stare at the bottle cap. Note their eye movements as they stare. Keep track of time that the child can stare at the target without visual saccades (eye movements). Arrange the bottle caps on the table. Place a pom pom in the center of the table, with the bottle caps all around it. Ask your child to stare at the pom pom. 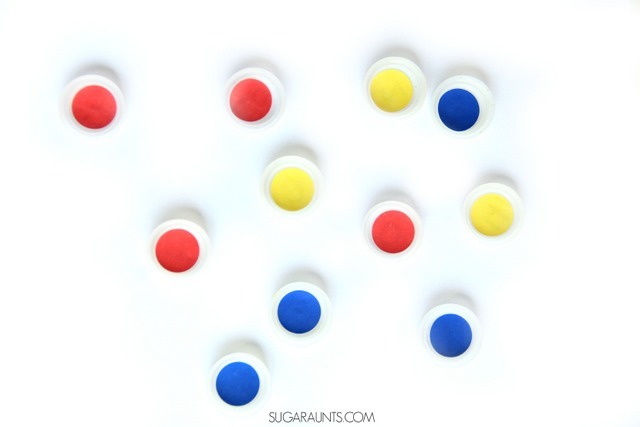 While keeping their head still and only moving their eyes, ask them to quickly find a bottle cap with the same color. Ask them to scan to another bottle cap of the same color until they've found all of the caps with that color. You can add a level to this task by writing letters or numbers in the bottle caps and asking the child to find letters in order or numbers in order. Set one bottle cap on the right side of the table. Place another at the left side. The adult should blow a crafting pom pom from the right to the left and ask the child to follow the pom with his eyes, without moving their head. Repeat by blowing the pom pom from the left to the right, front to back, and back to front in front of the child. Set one vertical row of bottle cap on the left side of the child. Place another vertical row on the right side. The adult should draw a line from one bottle cap on the left side to a matching bottle cap on the right side. Instruct the child to follow the pencil as you draw. Nest, trace the line with your finger. Ask the child to trace the line with their finger. They can then trace the lines with a pencil or marker. Use a newspaper or magazine article. Ask your child to highlight all of the letter "a's". Place a marble in a pie pan. 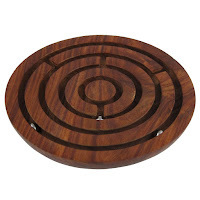 Rotate the pan around and watch the ball as it rolls. Don't move your head, only your eyes! Find as many things shaped like a a square in the room. Repeat the activity, finding all of the circular shaped items in the room. Use tracing paper to trace and color pictures. Play flashlight tag on walls and ceilings. The adult an child each holds a flashlight. As the adult shines the light on walls, the child keeps their light superimposed on top of yours. Start with simple strait lines. Then add curved lines, then a circle. Tell them what you are drawing next. Advance the activity by drawing shapes without telling them what you are doing next. Create a race track on the floor. Follow cars with your eyes. Roll a ball between you and the child. Roll from left-right, right-left, front-back, back-front, and toss the ball. 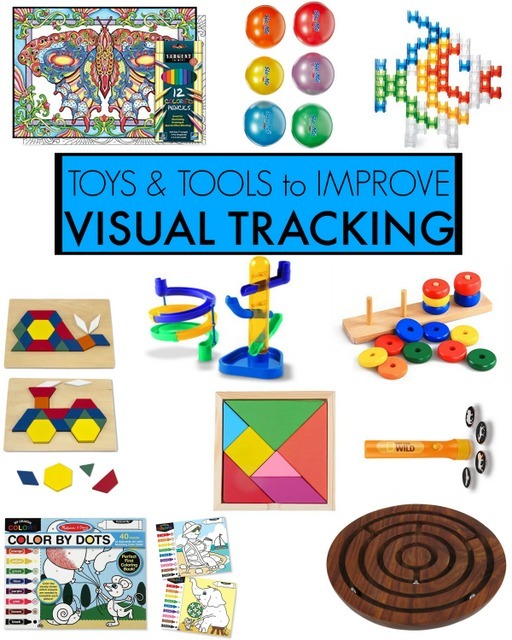 Looking for more tools to improve visual tracking? 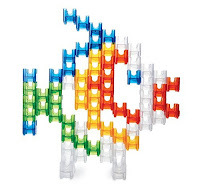 While the ideas below are most definitely NOT free or inexpensive, they are great for improving visual tracking and visual scanning in fun ways. These toys, games, and ideas may be a great gift idea for little ones who have visual perceptual difficulties or problems with visual tracking and handwriting, body awareness in space, letter reversals, detail awareness, or maintaining place while reading. SO, save these ideas for grandparents and friends who might ask for gift ideas for birthdays and holidays. 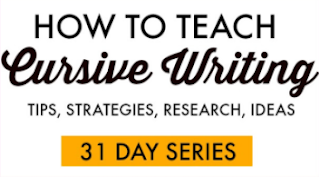 These are some powerhouse visual tracking ideas! Use Pattern Blocks and Boards to work on visual fixation of shapes and sizes of shapes. 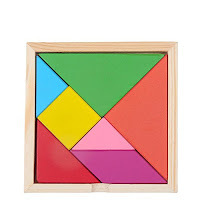 This Wooden Tangram Puzzle has many different shapes and forms that can be copied from instructions. Copying from a diagram is a great way to practice visual tracking. For younger kids, this Cylinder Toy Blocks encourages tracking for color sorting. Try some of our pom pom activities that we discussed above! Color by Dots coloring books are a good way to practice tracking of colors and matching the keys. Older kids can complete color/paint by number art like this Color By Number Poster Set for scanning for colored pencils and numbers in a complex page. Mazes are excellent for fostering and building on visual tracking skills. Particularly those that involve a moving ball such as a Marble Run or a labrynth . This MindWare Q-Ba-Maze Big Box requires engineering and maze building that older kids will love while working on skills needed in handwriting. Watching a ball or moving object that is thrown around a room (like a balloon) is a great way to work on tracking in a big area. 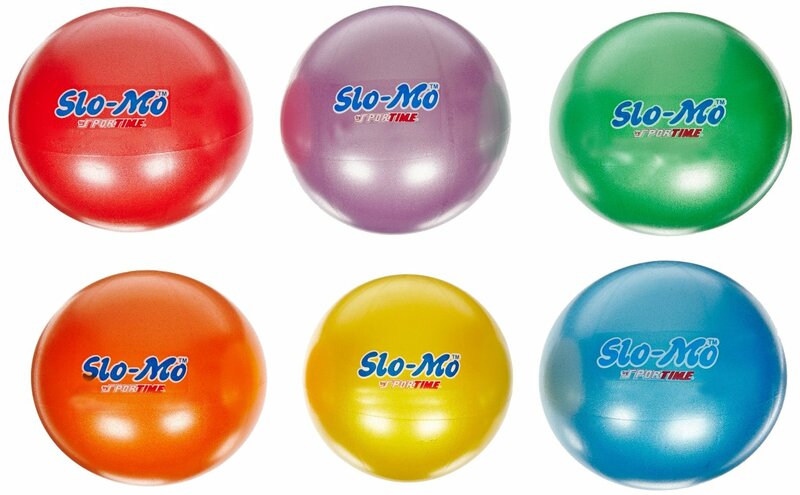 These Sportime Sensory Balls SloMo Balls are lightweight and move more slowly than a typical ball, allowing kids to visually track the bright color. These are very cool for games of toss and rolling in all planes. A flashlight can be used in so many visual tracking activities. Shine the light on words or letters taped to walls. Play "I Spy" in a dark room, shine shapes like this flashlight can for visual tracking and form tracking. Love it? Pin it, share it, save it!